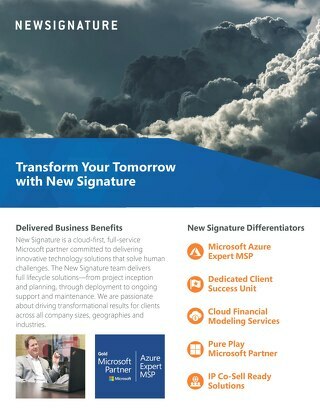 New Signature’s Unstructured Data Innovation provides indexing services that complement your existing document management software to organize your unstructured data using progressive machine learning technologies. 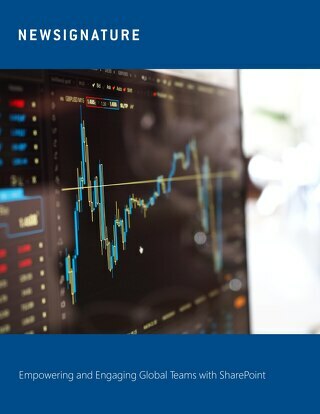 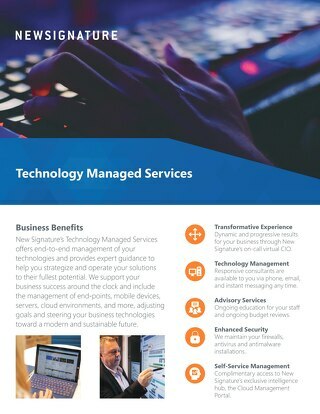 The MarketAxess team approached New Signature to be their partner in developing technologies to bring their global employees and users together and create a more unified environment. 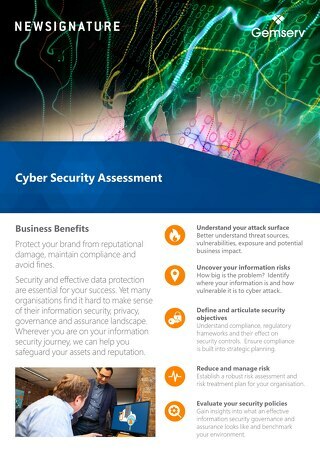 Security and effective data protection are essential for your success. 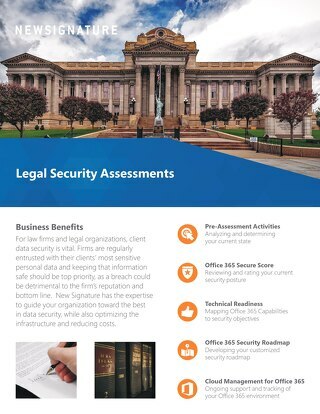 Yet many organisations find it hard to make sense of their information security, privacy, governance and assurance landscape. 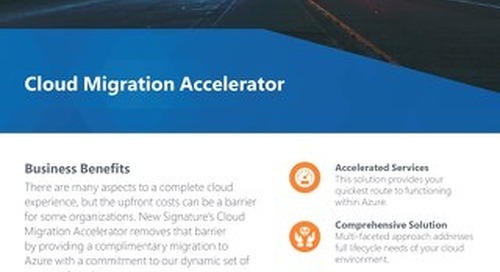 New Signatures EOS Migration Pilot is designed as a turnkey program to accelerate this transformation, with a tried and tested migration methodology and tool set. 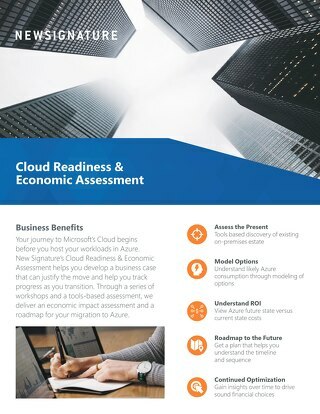 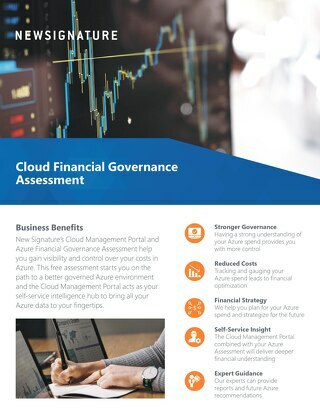 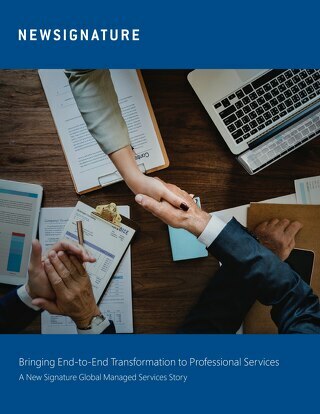 From infrastructure strategy and the shift of your servers to purchasing Azure and managing your new environment over time, your organization is best prepared for the future with our expert guidance. 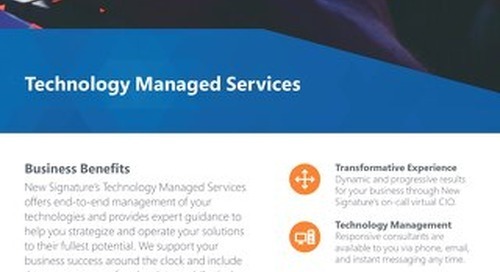 We support your business success around the clock and include the management of end-points, mobile devices, servers, cloud environments adjusting goals and steering your business technologies. 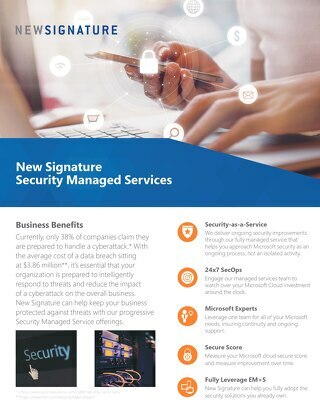 New Signature has the expertise to guide your organization toward the best in data security, while also optimizing the infrastructure and reducing costs. 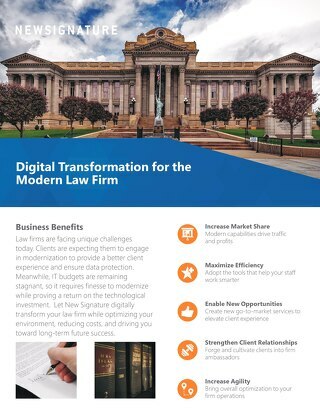 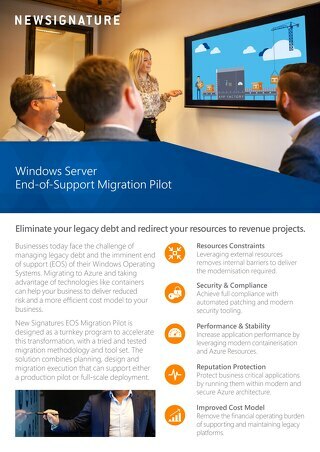 Businesses today face the challenge of managing legacy debt and the imminent end of support (EOS) of their Windows Operating Systems. 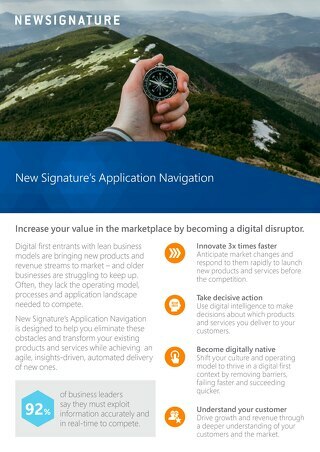 Our Application Navigation offer is designed to help you transform your existing products and services while achieving an agile, insights-driven, automated delivery of new ones. 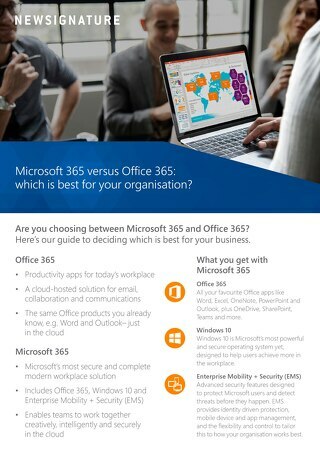 If you are currently considering Microsoft 365 and Office 365, our guide will give you the insights to decide which is best for your business. 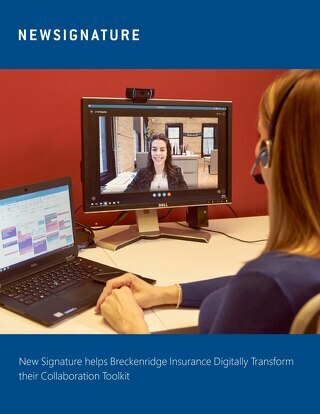 New Signature strategized with this insurance company through a multi-step solution for about a year to meet their initial set of deadlines and create a solution for all their requirements. 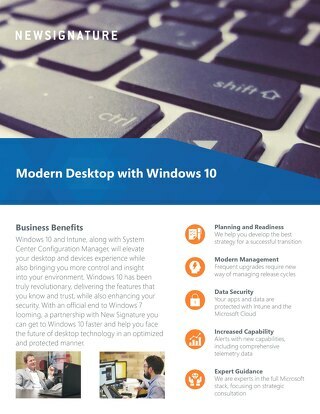 Windows delivers familiar features, while also enhancing your security. 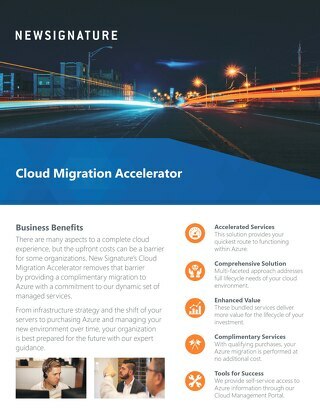 With an official end to Windows 7 looming, a partnership with New Signature you can get to Windows 10 faster.